We are officially in the middle of the flu season. Beginning in early fall to mid-spring, the number of diagnosed cases of the influenza virus begins to rise. In any given year 10-20 percent of the population will become infected with the flu. Characteristically the symptoms of the flu are very similar to the common cold; however, these two diseases are the result of different viruses. 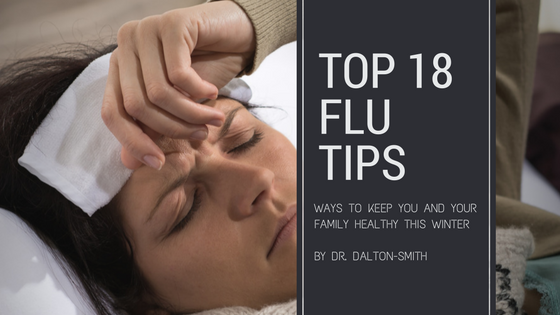 The flu often presents with fever, headache, body aches, fatigue, sneezing, and cough. The common cold, however, tends to have more sinus involvement with a stuffy or a runny nose and is much milder than the flu. The flu is more likely to result in progression to pneumonia or bronchitis which increases the mortality rate of this virus. The elderly and the young are most at risk. The best defense against the flu is a healthy immune system. Enjoy Aerobic Exercise – Moderate aerobic exercise increases blood flow and circulation throughout the body which allows your infection-fighting cells easy access to the places it needs to defend. Strenuous exercise, on the contrary, has been shown to release stress hormones and can blunt immune response. Try Probiotics – There are good bacteria inside your gut that helps your body make T cell (a type disease-fighting cells). You can increase the number of good bacteria inside of your gastrointestinal tract by drinking kefir, eating yogurt, or taking a supplement with Lactobacillus and/or Bifidobacterium. Limit Alcohol – Drinking too many alcoholic beverages can blunt your immune system and lead to an increase in infections. Increase Zinc – Zinc is a trace element that is required for immune cells to function correctly. You can increase zinc by adding nuts, beans, fortified cereals, and lean meats to your diet. A half cup of cashews is almost a full day’s supply of zinc. Cook With Garlic – Garlic has been shown to have some infection-fighting properties, so the next time you make chili or soup this winter add some garlic to your ingredients for an extra immune boost. Laugh More – Laughter is a natural stress relief, and stress has an adverse effect on the immune system. 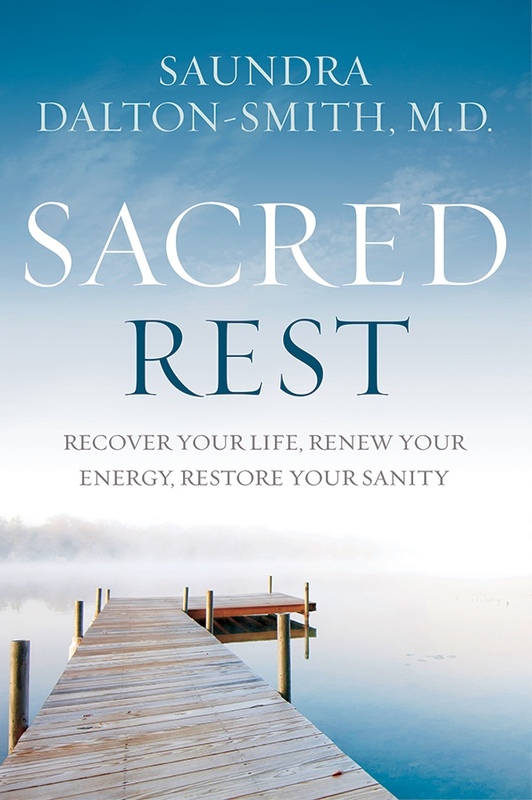 Anything you can do that decreases tension and stress is a healthy change. Get Adequate Rest – The amount of functioning T cells in the body has been shown to decrease in people who are sleep-deprived. Getting 6-8 hours a day will help keep your cell count optimized. The more T cell you have fighting on your behalf; the better chances you have to fight off invading viruses. Do you have a hard time falling sleeping? 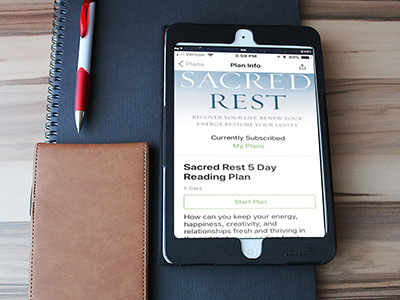 Check out my book Sacred Rest to learn about the seven types of rest needed to help you enjoy higher quality sleep, greater productivity, improved creativity, and more happiness in your life. You can also visit RestQuiz.com to take my free assessment to learn your RQ (Rest Quotient) in each of the 7 areas. Avoid High Fat Foods – High-fat diets weaken the immune system and make your immune cells less efficient at recognizing and attacking viruses. A low-fat diet is not just for heart health but also immune health. Stay Hydrated – Immune cells must have adequate circulation. Dehydration decreases the ability of your disease fighting cell to reach their target quickly. Caffeinated and carbonated drinks can be tasty treats, but water is always the best first defense. Limit Overuse of Antibiotics – Your immune systems works best when it gets some on the job training. Do not run to the doctor at the first sign of a sniffle. Give yourself 48 hours to allow your body a chance to fight back. If you are not improving or if you develop high fevers proceed with a doctor’s appointment. Snack on Fruits and Vegetables – A diet high in antioxidants helps to keep your immune system healthy. Try to eat fruits and vegetables in a variety of colors. Some great choices include blueberries, strawberries, spinach, beets, peppers, red cabbage, and pineapple. Flu Shot – The flu shot will only protect you from the specific strands of the flu virus within the shot, but it is an added boost of protection for those more prone to getting complications from the flu specifically children, the elderly and those with chronic medical problems. Sometimes no matter what you do, you get exposed. A co-worker comes in sick, or a sick child spreads it to your kids at school. Regardless of how it happens, now the goal is to limit the spread of the virus and help heal the infected person. Below are a few tips to consider. REMEMBER: these are NOT to replace discussing your specific health care needs with your primary doctor and are no way meant to be my prescription for you. This information is for educational purposes only and should be used to aid your discussion with your healthcare provider. Ask If Tamiflu Is Right For You – Tamiflu is an FDA-approved anti-viral treatment for the flu. It is approved for individuals two weeks of age and older. It is reported to be most effective if taken within the first 48 hours of catching the flu and can reduce the amount of time you are sick. Tamiflu can also be used as a preventative medication for those who have been exposed to the flu but don’t have any symptoms yet. As with all prescription drugs, there are some potential side effect and you should discuss if Tamiflu is a good option for your specific situation. Peppermint for its ability to loosen up chest congestion and reduce coughing. Lavender for its calming effect and ability to decrease stress and fatigue as well as decrease headaches. Eucalyptus for fever reduction and for achy muscles. Thieves for its ability to support immune health and its antibacterial properties. Isolate The Infected Person – Flu is spread by droplets, meaning every time you cough or sneeze you are exposing others to it. It’s crucial to limit exposure to other. When visiting your doctor’s office or ER, ask for a mask to decrease the spread of germs. You should send a well family member if you need to get prescriptions or fever reduction medications from the pharmacy. Keep the flu-positive individual away from other healthy people. At home, you can try to isolate them to their bedroom since they will need the extra rest anyway. If that is not an option, you will need to be diligent in wiping down surfaces they share with other family members. Encourage the ill individual to practice good hygiene like coughing into their arm instead of their hand and washing their hands after blowing their nose or sneezing. Use Sick Days To Get The Rest You Need – I realize not everyone has sick days, but for those who do you should use them appropriately. Don’t hoard them up to use sometime in the future. Give your body the time it needs to heal. The body is designed to fight on your behalf against invading viruses and diseases. It can’t do its job effectively when you continue to push it to its max. That’s what those sick days are for, opportunities for you to rest and know the bills can still get paid this month. 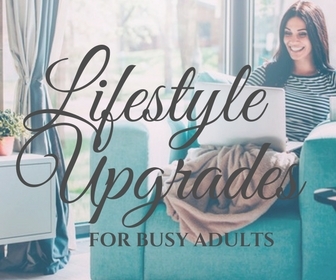 For those of us who do not have sick days (yep, I don’t have any either), it’s important to plan ahead and set aside some funds for those times when you will need to miss work. Explain to your employer you don’t want to come to work ill and infect everyone there. Then give yourself the chance to heal faster but resting, staying hydrated, and taking whatever medications you and our health provider deem necessary. Pray – Prayer has been shown to be an effective part of the healing process. I recommend my patients pray the healing promises found in the scriptures for themselves and their family members. In my 20 years of practicing medicine, I have seen everything from cancer to infections heal faster than medically expected with the only difference being fervent prayer. Check out my resource page for a list of healing affirmations you can use during your prayer time. What are some of the ways you fight back against winter viruses? Share your favorite tips in the comments below. You are welcome Onisha! Stay healthy! 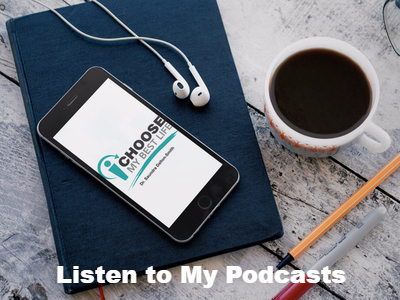 Thanks Elizabeth for sharing about this option. So glad you found something that works well for you. First, please always have an inhaler with you. Nothing else will be as effective and not seeking medical help could cost you your life. I have asthma and COPD, caused by smoking. I use an inhaler 1 to 2 times a day; when feeling wheezy and coughing more than usual. My father came across a forum where so people was writing about (Best Health Herbal Centre). They sell herbs supplements for different kinds of deadly diseases, so me and my family decided to give it a try. We contacted Dr linda (Best Health Herbal Centre) immediately and purchased herbal remedy for Asthma and COPD. I used the herbal remedy as instructed and It totally reversed my Asthma and COPD within 6 weeks of usage, all thanks to Best health Herbal Centre, God bless.